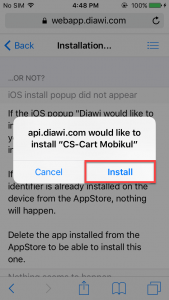 When you will get the .ipa file then there is two way from that you can install the .ipa file to your iPhone device. First method: – Suppose if you have the .ipa file in your system (Mac desktop/laptop). 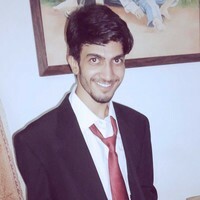 Please make sure that your iPhone device is connected with the iTunes of that system. Now you can see the file in the system. As you can see in the below image. 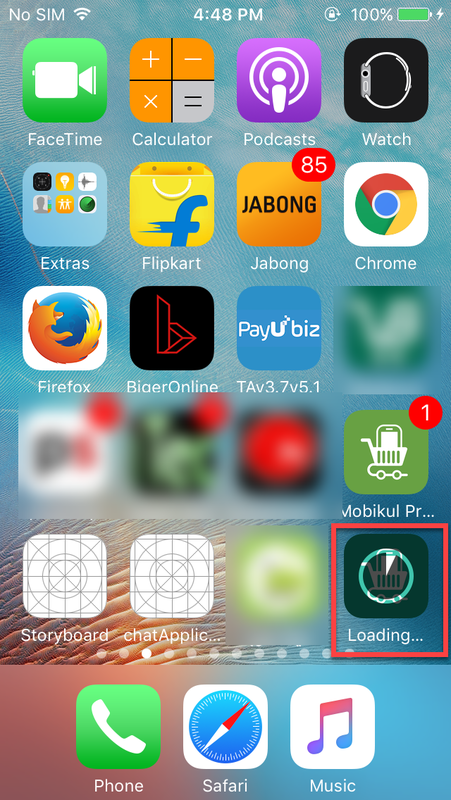 Now, please open this .ipa file with iTunes as describing in the below image. 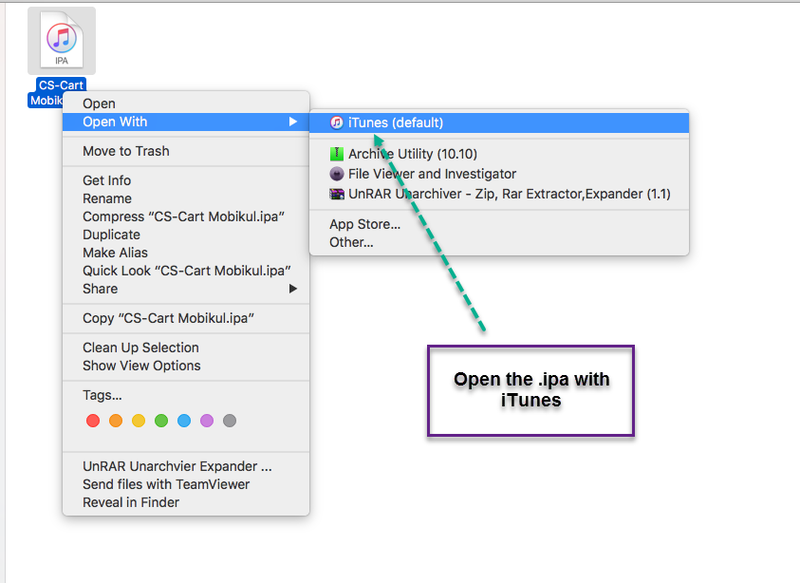 When you will click on the Open with iTunes then you can find the .ipa file in Apps section of iTunes. As you can see in the below image. Now you can see the application (CS-Cart Mobikul) in the Apps section of iTunes. 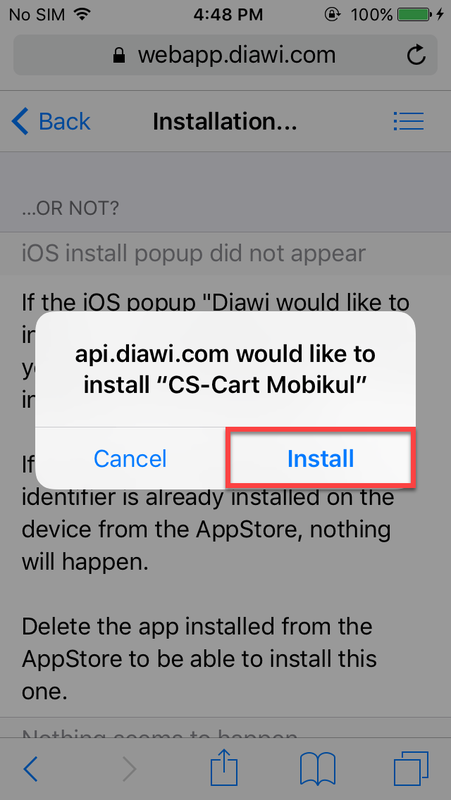 You can click on the install and can complete the process by clicking on Done button. Now you can check your iPhone device which is connected to iTunes, the app is downloading. 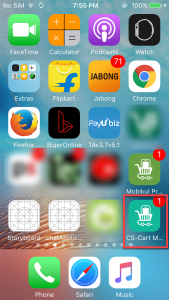 After the successful download, you can use the application. As you can see in the below images (in sequence). NOTE – Suppose if you don’t have Mac system then you need to install the iTunes application for Windows. After that, you need to connect the iPhone device to iTunes and can follow the same procedure. 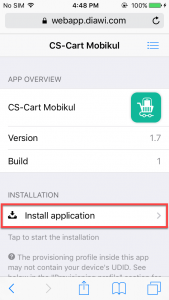 Second Method: – Suppose you don’t want to follow the above method or you don’t want to install iTunes application to your Windows system then you can follow this method to install the .ipa file to your iPhone device. 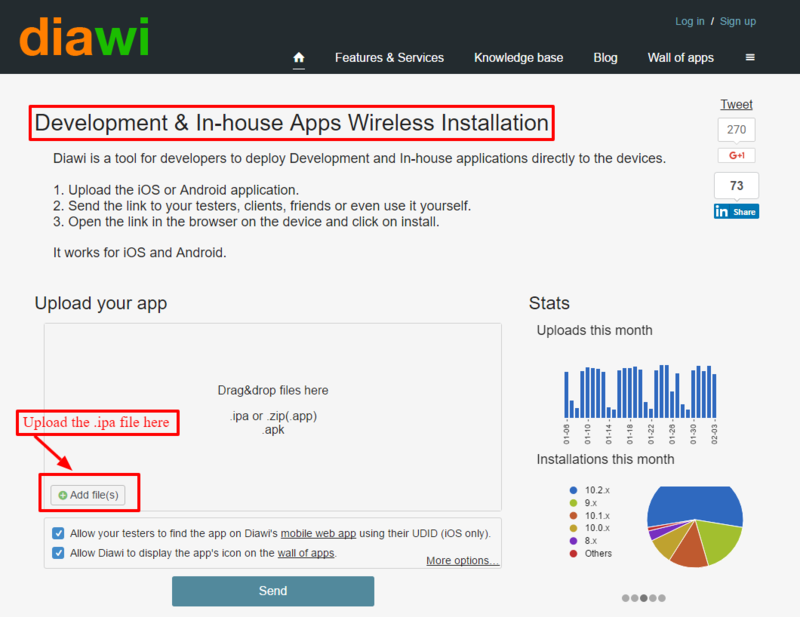 Please click on the following link – https://www.diawi.com/ then you will be redirected the page “Development & In-house Apps Wireless Installation”. 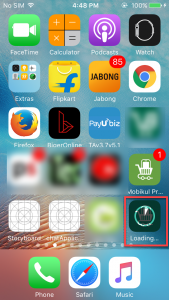 Here you will see the Add file button and you need to upload the .ipa file. 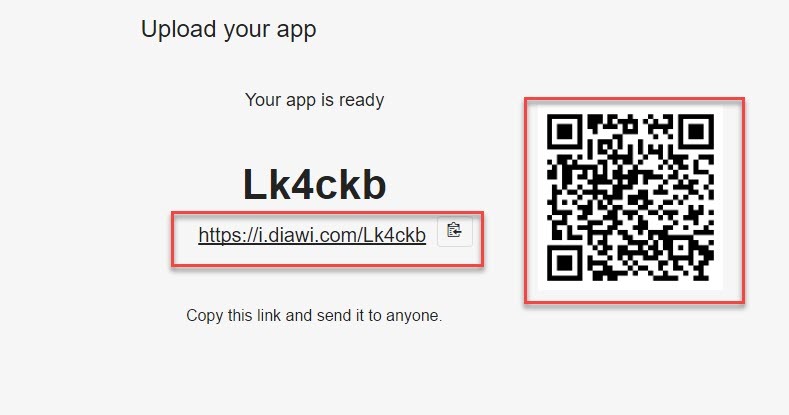 After the successful uploading the file, when you will click on the Send button then you will see the a URL is generated with QR Code. As you can see in the below image. Now you can browse this URL in your iPhone’s Safari browser or can use this QR code using your iPhone device. When you will browse the generated URL then you can directly install the app in your iPhone device. As you can see in the below images (in sequence order). 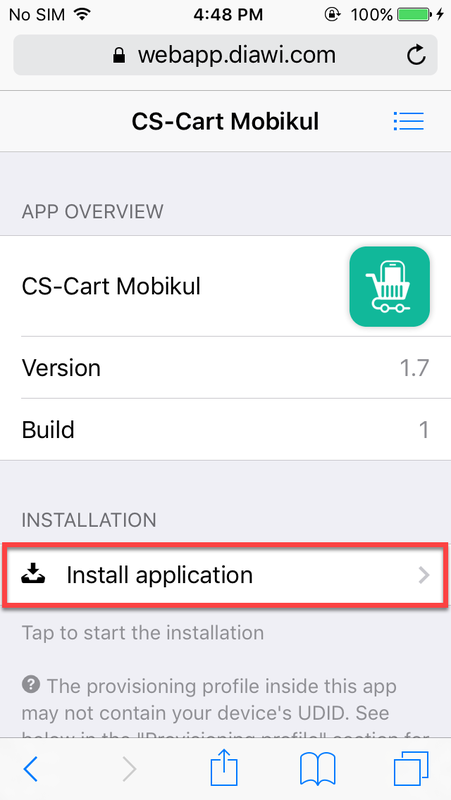 After the successfully installation, you can use the application.